Willow J. H. Liu is the owner of 21st Century Herbs & Health, Inc. Dr. Liu has been working on traditional Chinese herbs and Western herbal medicines for twenty-five years. She has research experience on herbs using the methodologies of modern chemistry, biology, and pharmacology in China, Germany, and the United States. Dr. Liu has also worked in both product development and clinical application of herbal medicines. Her papers on isolation and identification, chemical analysis, bioassay screening, animal studies, and studies of the mechanisms of herbal medicines have been published in different international journals. 1. Introduction to Traditional Herbal Medicines and Their Study (Willow J.H. Liu). 1.1 Definition and Trends of Traditional Herbal Medicines. 1.2 Research and Development of Herbal Medicines. 1.3 Common Mistakes Seen in Research on Traditional Herbal Medicines. 1.4 Research on Traditional Herbs Should Refer to Theories and Clinical Application of Traditional Medicine. 1.5 Brief Introduction of Different Systems of Traditional Medicine. 1.6 Regulation of Herbal Medicines and Their Products. 1.7 Achievements and Challenges of Research on Chinese Herbal Medicines. 2. Collection and Identification of Raw Herbal Materials (Ping Li, Ling Yi, and Hui-Juan Liu). 2.1 Collection of Herbal Materials. 2.2 Methods for Species Identification of Herbal Materials. 3. Extraction and Isolation of Compounds from Herbal Medicines (Hong-Wei Liu). 3.1 Compounds in Plants and Their Structures and Properties. 3.2 Methods for Extraction of Herbal Medicines. 3.3 Methods for Isolation of Compounds from Herbal Extracts. 3.4 An Example of Extraction and Compound Isolation from Herbal Medicine. 4. Identification and Structure Elucidation of Compounds from Herbal Medicines (Xin-miao Liang, Yu Jin, Jia-tao Feng, and Yan-xiong Ke). 4.1 Structural Characteristics and Chemical Identification of Compounds in Herbal Medicines. 4.2 Brief Introduction of UV, IR, NMR, MS, and other Spectra. 4.3 Identification of Compounds by HPLC and TLC. 4.4 Identification of Compounds By Spectra. 4.5 Structure Elucidation of Unknown Compounds by Hyphenated Technique. 5. Bioassays for Screening and Functional Elucidation of Herbal Medicines (Willow J.H. Liu). 5.1 History of Screening Compounds from Natural Products for Drug Development. 5.2 Brief Introduction of Enzymes, Receptors, Cells, and Gene Expression. 5.4 Evaluation of Bioassay Results of Herbal Samples. 5.8 New Technologies and other Bioassays for Screening and Mechanism Study. 5.9 Keys to Functional Mechanism Study of Herbal Medicines. 5.10 Example 1. Screening and Evaluation of Estrogenic Activity of Herbal Medicines. 5.11 Example 2. Functional Elucidation of Black Cohosh for Menopause Symptoms. 6. Functional Evaluation of Herbal Medicines by Animal Experiments (Chun-fu Wu, Fang Wang, and Chun-li Li). 6.1 Purposes and Significance of Pharmacological Research for Herbal Medicines. 6.2 Characteristics of Pharmacological Research of Herbal Medicines. 6.3 Design of Pharmacological Study on Herbal Medicines. 6.4 Examples of In Vivo Experiments for Herbal Extracts. 7. Safety Pharmacology and Toxicity Study of Herbal Medicines (Jing-yu Yang and Li-hui Wang). 7.5 Examples of In Vivo Toxicological Experiments for Compounds or Extracts from Herbal Medicines. 8. 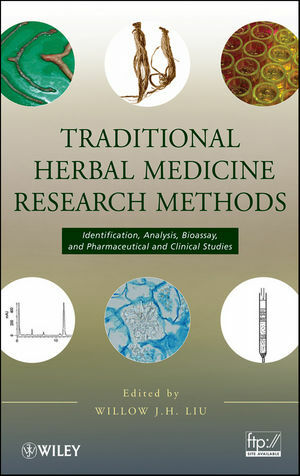 Clinical Study of Traditional Herbal Medicine (Hong Yuan, Guo-ping Yang, and Zhi-jun Huang). 8.1 Introduction to Clinical Trials and Challenge of Clinical Trials on Herbal Medicines. 8.2 Essential Elements and Principles of Clinical Trial Design. 8.3 Design of Clinical Trials. 8.4 Examples of Clinical Trials. 9. Standardization and Quality Control of Herbal Extracts and Products (Jian-guo Zeng, Man-liang Tan, Xuan Peng, and Qi Luo). 9.1 Introduction of QA, QC, and GMP. 9.2 Standardizations and SOP of Herbal Extracts. 9.3 Equipment for Quality Control of Herbal Extracts and Products. 9.4 Qualitative Analysis of Herbal Extracts and Products. 9.5 Quantitative Analysis of Herbal Extracts and Products. 10. Understanding Traditional Chinese Medicine and Chinese Herbs (Willow J.H. Liu). 10.1 Understanding TCM Theories with Modern Medical Terminology. 10.2 Chemicals are Fundamental Substances Refl ecting Functions of Chinese Herbs. 10.3 Brief Introduction to the Properties of Chinese Herbs. 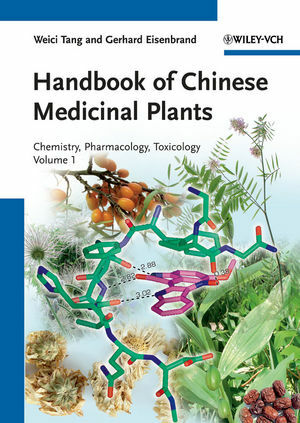 10.4 Modern Pharmacology of Chinese Herbal Medicine.